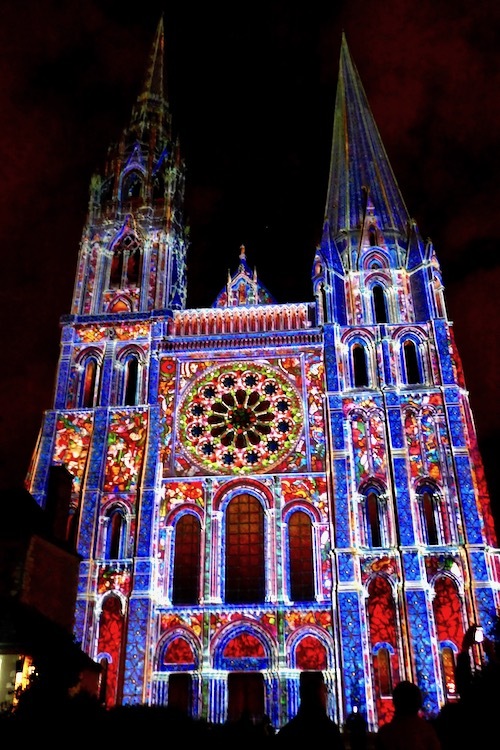 Somehow I missed Chartres en Lumieres, aka the Chartres Light Show, while I lived in Paris. Friends went and raved about the lit up sites, and while it sounded interesting, it never pulled me away from one of my other favorite Paris top 10 activities. It wasn't until I moved away and came back to Paris for a visit, that I finally got to the Chartres Light Show. 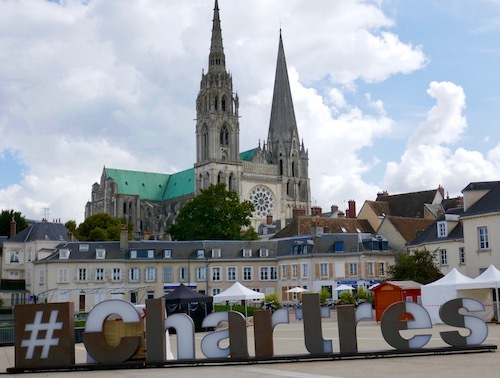 Chartres is about an hour's drive from Paris, and is also easily accessible by train. 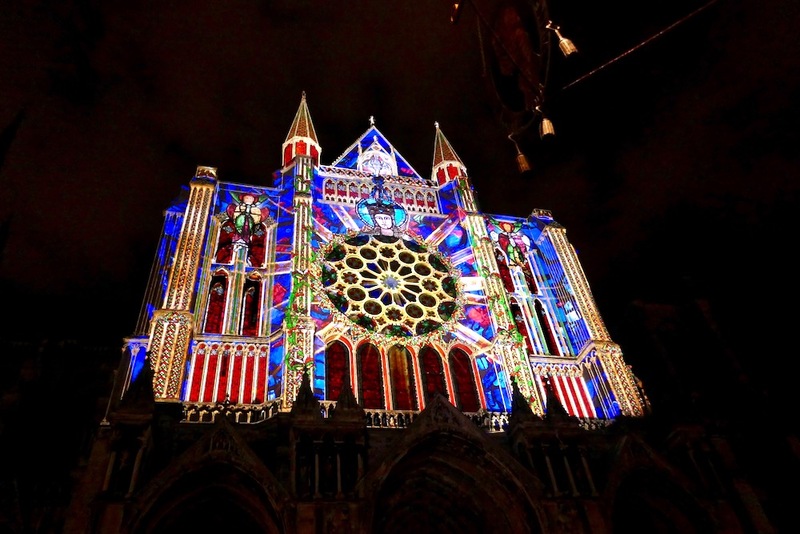 Back in 2002, Chartres started illuminating buildings in an attempt to gather more locals and tourists. Nearly 15 years later and one million visitors annually, I'd say it's working. 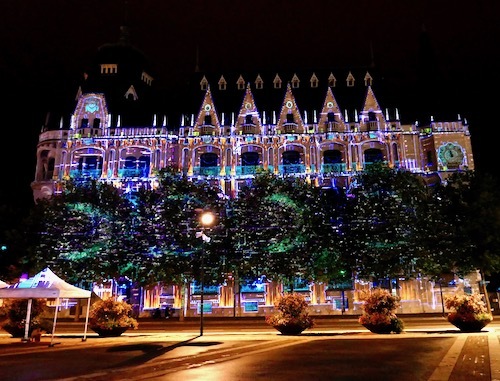 Chartres works with local and international artists to put the light show on each year. It now lasts about 6 months from April to October. The first illumination typically begins about 10 pm, depending on the season, and ends around 1 am. So grab a nice dinner in the square overlooking the Cathedral, and then wait for the fun to begin. 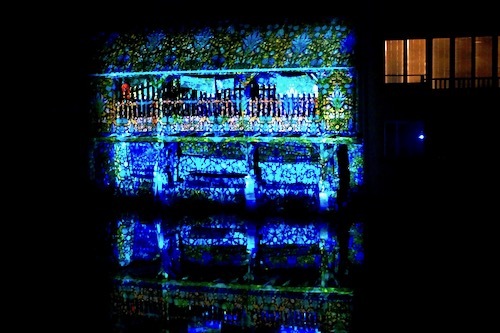 There are 24 different historical sites around Chartres where the illuminations occur. Grab the easy to print map or free app to see all of the locations. You can also follow a lit path to see most of the illuminations, though many of the lights have burned out, so it's still a good idea to get a map. 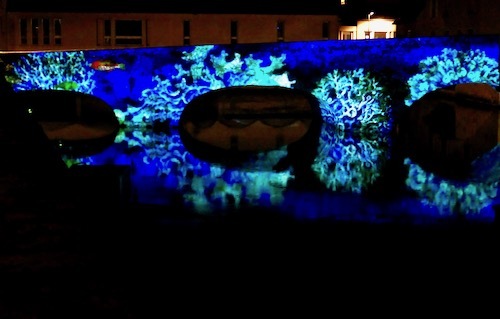 Giant image projectors, high-power video machines, LED projectors and projection towers all play a role in helping to cast colorful and evocative images onto the sides of buildings, churches and even over waterways. 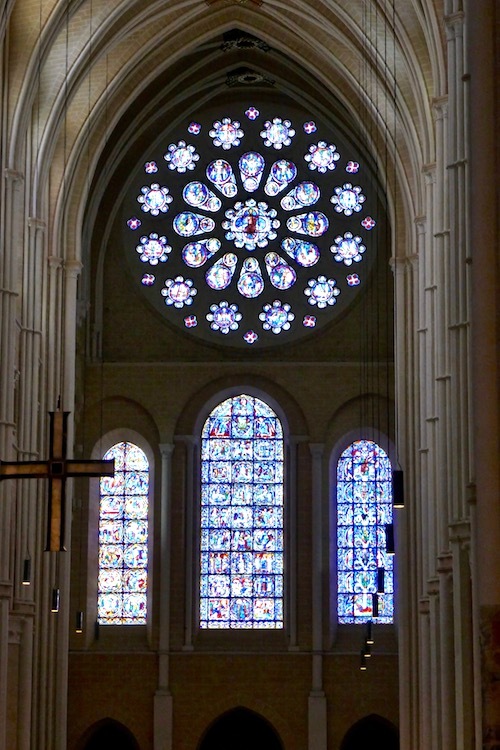 Some moving images tell stories like the history of Chartres, which is shown on the impressive Notre Dame of Chartres Cathedral. It's set to music and lasts for several minutes. What's so impressive about the illuminations is that they're each individually created for the structure that it's displayed on. 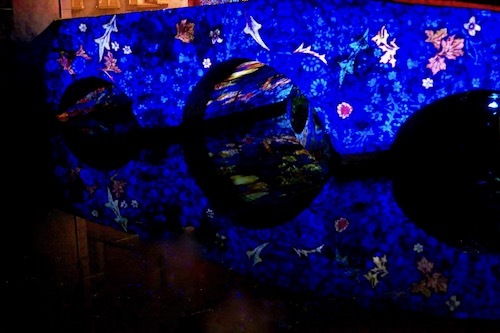 Water can look like it's flowing out a window, or fish can look like they're swimming in the water, just by the projections alone. The illuminations by the water were a favorite of mine. Images appeared under bridges and wrapped around walls. They move constantly and often have beautiful music accompanying. There is a little train that goes around Chartres during the illuminations, but it doesn't go everywhere, and it can be hard to see the entire light show from the train. For maximum viewing pleasure, I recommend walking. The sites are fairly close together so there's not too much ground to cover. Enjoy the Chartres Light Show at night, and don't forget to visit the Cathedral in the morning. There's stunning stained glass windows and sculptures, not to mention beautiful Gothic architecture - all worthy of their own visit. I'm glad I finally got to see Chartres en Lumieres. It was well worth the wait. Looking for other travel inspiration?